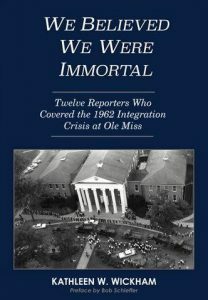 Journalism professor Kathleen Wickham is kicking off her book tour for “We Believed We Were Immortal” at 5 p.m. Tuesday at Off Square Books to commemorate the 55th anniversary of James Meredith’s enrollment as a student at Ole Miss. “We Believed We Were Immortal” remembers a few of the more than 300 journalists who covered the Civil Rights Movement in Oxford during September 1962, which included the integration of Ole Miss and the arrival of its first African-American student, James Meredith. The book features multiple pictures from a variety of both student and professional journalists, and at the end of each chapter, a news story written pertaining to what the journalist of that chapter covered. Wickham said she was inspired first by the courage of Paul Guihard, a French journalist who was killed during the riots. His death is still unsolved, and he is the first of the 12 journalists Wickham discusses in her book. “He was the only reporter killed during the Civil Rights Movement,” Wickham said. Wickham said another inspiration was The Daily Mississippian editor at the time, Sidna Brower. Brower had declared for a calm acceptance that this was happening and faced backlash due to this. For some of the journalists who covered the event, like Dan Rather, who would later become renowned for his journalism, this was their first big story. It is worth mentioning that African-American journalists were banned from campus the night of the riot due to safety precautions. Curtis Wilkie, a former student at Ole Miss, highly decorated journalist and now Overby fellow, played a large role in helping Wickham track down sources for this book. Wilkie said he thought it was a “fresh addition” to the books that have been written about the Meredith riot. The map featured at the beginning of this book was drawn by Wilkie when he was a student. Wilkie said the only reason he had drawn the map was to explain to his mother what had happened that night. Wilkie and his mother hadn’t talked on the telephone that night, so he sent her a letter with the map instead. They can both now be found in the J.D. Williams Library’s special collections on the third floor. “(It was a) very good and strong introduction into the world of journalism,” Wilkie said about being a student during the riot. Wickham has met James Meredith on various occasions, and Meredith wrote a book blurb for her book. 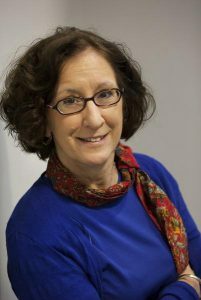 Wickham said in 2016 she took some of her students to interview Meredith for the media ethics class she teaches at the university. Wickham said this book took years of visiting archives and scanning social media. After researching, Wickham, with the help of Wilkie, tracked down the journalists who were still alive to remember the James Meredith riots. Lyn Roberts, general manager of Square Books, said she gained a fresh perspective on the riot after reading this story. Wickham will be introduced by Wilkie at the event Tuesday night. “(It’s) something that should be remembered,” Roberts said.